He’s behind you! 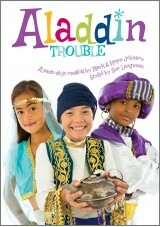 That’s right you guessed it, this collection features our school pantomimes; Aladdin Trouble and Cinderella & Rockerfella. These are the perfect school panto choices, suitable for performers aged 8-11 these pantos will leave audience wanting more. As adaptions of their original classic tales, these pantomimes are easy to teach, learn and follow when watching. 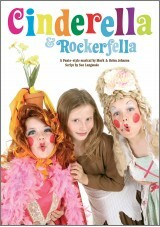 Each of these fabulous pantomimes feature catchy and original songs to get the audiences’ toes tapping along. Taking part in either of these productions will allow pupils to grow in confidence, it will also be the first time many pupils will have been involved in a theatrical performance, therefore giving them the opportunity to be apart of something completely new and exciting. Although both storylines feature clever twists on classic tales, both still carry the important messages of the original stories which translate very easily into every day school life. For example, in Cinderella and Rockerfella the theme of bullying is explored and in Aladdin Trouble the question of remaining true to yourself is at the heart of the story. Get ready to laugh, cheer, boo, hiss and sing along to the exciting songs in both these pantomimes, as they come to life when performed by pupils in school.